Building your own business is one of the most exciting and challenging things anyone can do. 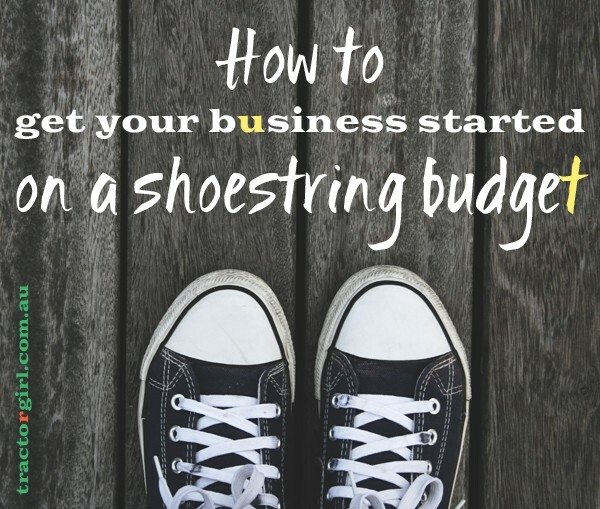 Pulling off your own business on a shoestring budget is the next level of challenging. How to do it without spending nerve-wracking hours staring at your bank account and even more important – where to invest to succeed? The good thing is: there are many services that are offering free plans for the very basic or even all the necessary features. You can not only start using apps like Evernote, Buffer, Canva, Google Apps without worrying about monetary investment but also try out the ones that are offering a free trial period. Find what suits the best for you and your business! Proper website is one of the main things that make your business look legit. Domain and host won’t cost you much, just make sure to choose the service you feel comfortable using. You don’t have to invest in a custom design or development. Start out small, start from where you are and go from there, step by step! There are loads of arguing going on about whether you should create custom e-mail like name@yourdomain.com instead of name@gmail.com. I’m standing along with those who say that custom e-mail IS important. As the general rule stands: personalized business e-mail will make you look more legit along the other business owners. It might not always be true but it will give the right impression! To ease up your daily life you should seriously consider spending some money for any of many accounting apps. That way you can save loads of time as well as your own sanity. After all: it is important to get some money rolling and accounting is a big part of your business but you might be not all that comfortable with these questions yourself. Apps like Wave or Freshbooks will be the right choice for you! There’s no need to go full-out on a whole graphic design package, but it’s important that you at least start with a really strong idea of who you are, who your audience is, and how you can help them. To start with, keep your visual branding elements simple, but be consistent with them – use the same colours and fonts across everything you produce – your blog header, your newsletter, your graphics, your business card, etc. Being consistent with your visual elements helps to convey the idea of consistency and trustworthiness in business too. Hiring help is a scary thing to do. You’re not only trusting someone who you might not know but you will also get back a bit of your own freedom! Don’t be afraid to add accountant or Virtual Assistant (VA) to your daily life. That way you will be able to spend more time doing what you actually love instead of doing the tasks that can be done by someone else. If you’re not a designer or developer and you’ve created your website all on your own, it might be super important to take the next step and reach out to a designer and/or developer. There are many offers out there who are tailored to specific businesses and one of them will be the best one for you. It’s a big investment that will go a long way! When your business is stable, it’s the right time to check all the programs and apps you’re using and consider upgrading some of them. Please, keep in mind: the fact that you have some money for that doesn’t mean you actually have to do it if you don’t feel like it. Many people are fine with the basic plans for their apps and programs but maybe for you it could be the way to be able to take your business to the next level! – Upgrade your office space or buy a membership to a coworking place. After all, always remember: business does take investment and you shouldn’t be afraid to make one! In the same time, be mindful about where your money goes and how well it’s spent and your business will succeed. Ieva is a website designer & strategist traveling and working as a digital nomad. Ever since she found freelancing it become her biggest passion, therefore, she came up with an online course for new freelancers and became a new freelancer coach at www.readysetstartfreelancing.com You can follow her at www.twitter.com/therandomp.